It’s easy to find a broker who will list your boat and many of them promise you that they will sell it. But how can you really know which broker can best serve your needs and represent you and your interests? Who can really show you a proven marketing plan that results in actual sales? Most sellers already see Little Yacht Sales and Texas Power Yachts (LYS/TPY) as the market leader not only in Texas but the Gulf Coast and we have the sales data to prove it. First of all we are two companies and two locations under one ownership. One primarily sail, Little Yacht Sales, and one primarily power, Texas Power Yachts. The brokers from both companies do crossover because all the brokers have experience in BOTH Power and Sail. 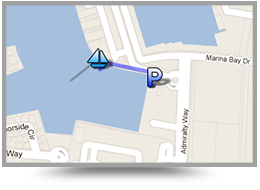 Our Sail location is at the Waterford Harbor Marina, where there is more sail than power, and our power location is at the South Shore Harbor Marina and Resort which is primarily power. We Specialize in both power and sail and our brokers can sell either equally well. 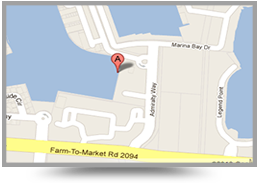 Both locations represent the two finest storm-proven, all floating marina facilities on the Gulf Coast. Power and Sail buyers are different buyers and tend to gravitate to the locations which represent more of what they are looking for. Many brokerages specialize in just sail or really just power. We specialize in both and our brokers can sell either equally well. Little Yacht Sales and Texas Power Yacht brokers know the product and know how to sell boats. Some of our brokers have over 30 years of experience and most have over 10 years of experience solely in Professional Yacht Sales. Combined we have well over 165+ consistent years in just yacht sales. That is a hard number for any other brokerage to beat. Combined with this experience our brokers have the knowledge of not just the boats but we also take the time to analyze the boat and the market place as well as how to make the boat presentable. We have had many listings that other brokerage houses have had that have sat for up to a year and we have taken the listing, enacted our marketing plan and sold it sometimes in less than a month. We know the product, how to make it presentable, how to market it, how to get the offer and how to close the sale. Our transactions are also expedited through an innovative software package that manages and tracks documents related to the sale. It allows for us to conduct the sale via internet and email using e-signatures. This makes process from offer to closing much smoother and helps to make it happen much faster. • Two distinct websites for both LYS and TPY that are consistently updated. • Social Media from Linked In, Facebook and Twitter. • Emailed Newsletters that promote our listings as well as events like open houses that regularly bring out over 75 prospective buyers on one weekend. Besides incredibly detailed listings with Photos and Video we have two YouTube Channels, one for power and one for sail. We are able to do this because LYS/TPY is one of a few brokerage houses that have a real full time marketing manager that takes care of marketing your boat every day. LYS/TPY Owner, Kent Little, and Marketing Manager, John Brown, both have strong marketing backgrounds and work consistently with our office manager, Betty Polk, on the marketing aspect of LYS and TPY. John makes sure the ads get done, the photos and videos get shot and all aspects of getting your boat out to the buying public is taken care of. Our brokers are then freed up to work clients and sell your boat! Unlike print ads where you seldom ever see actual results, we can show you actual analytical data from both Yachtworld.com and YouTube that shows how many people have really viewed your listing. Our software system allows us to track showings and feedback. Our marketing department compiles and sends the traffic data, market assessment and monthly feedback to every seller about their listing every month. Betty Polk is the "Go To" lady for crafting listings. She will take the info from your broker and build the listing online. She does all of this while keeping the office running like a Swiss watch! John Brown is the Marketing Director for LYS and TPY. 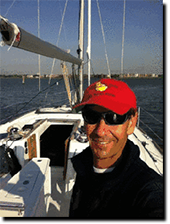 John makes sure that your vessel looks her best online and at the dock through videos , signage, photography, ad design and advertising strategies.